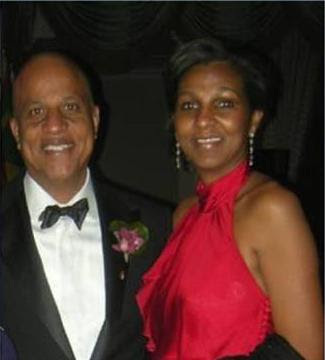 Press Release - Mrs. Kim Simplis Barrow thanks the very many individuals and organizations countrywide that have been expressing their solidarity and praying for her in light of her breast cancer diagnosis. Since Monday, she has been undergoing tests and seeing doctors at Baptist Hospital of Miami. The tests and doctors have confirmed that she is suffering from stage 3 breast cancer. There are two tumors in her left breast, and the cancer has spread to lymph nodes under her left armpit and lymph nodes next to the sternum on the left side. The cancer has not spread to other organs or parts of the body. The treatment prescribed in the circumstances is for Mrs. Barrow to undergo preoperative chemotherapy, then a mastectomy. The chemotherapy will be done in six sessions three weeks apart, after which the breast removal surgery will take place. The first chemotherapy session is scheduled for Tuesday of next week, to be followed by a few days medical observation. Mrs. Barrow then hopes to come home on Saturday, November 19 before returning to Miami in early December for the second chemotherapy session. Again, she offers heartfelt gratitude to Belizeans for their outpouring of support. So very sad, I will be praying for her and her family. This is so heartbreaking. My prayers are with her and her family. My prayers go out to her, God bless!!!! Please continue to pray for Mrs. Barrow as this could have been you or me!! May God grant her the strength she needs and may He restore her body to full health in Jesus' name. She has been very positive to this Nation and is always doing something good. I pray that the same positivity and good health be returned to her.